things that stink about living in the city: you aren't living on a farm. But i did just find this amazing company Omlet, that will let me have my chickens in the city! Fresh eggs anyone? 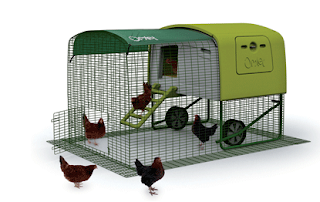 For under $1000, you can get the eglu, chickens, and feed delivered to your door. perfectness. Man, that's a lot of eggs.